Who needs cable television when there’s quality entertainment on the internet? 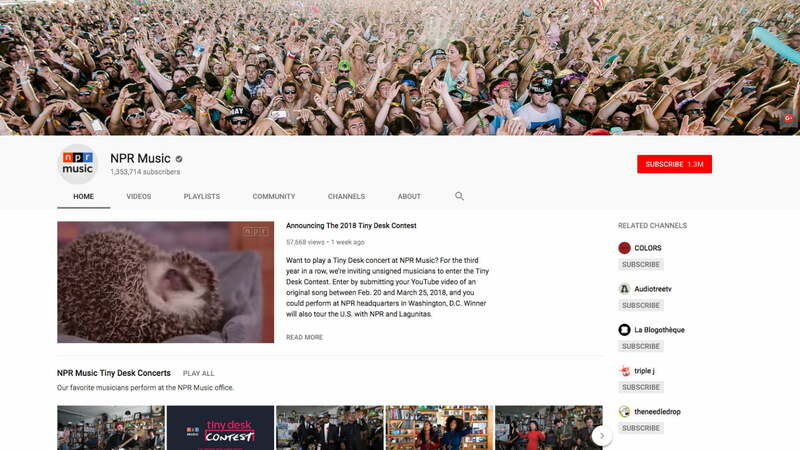 Services like Netflix and Hulu aren’t the only place to find great content; YouTube has become a thriving ecosystem for adventurous content creators. 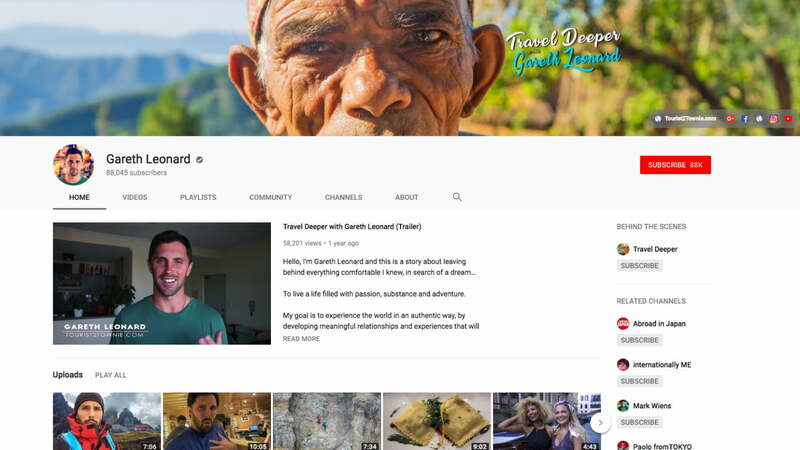 Categorized by archetypes, these channels should be useful and amusing, whether you need instructional videos or updates of the latest news. And don’t forget, you can take it with you. 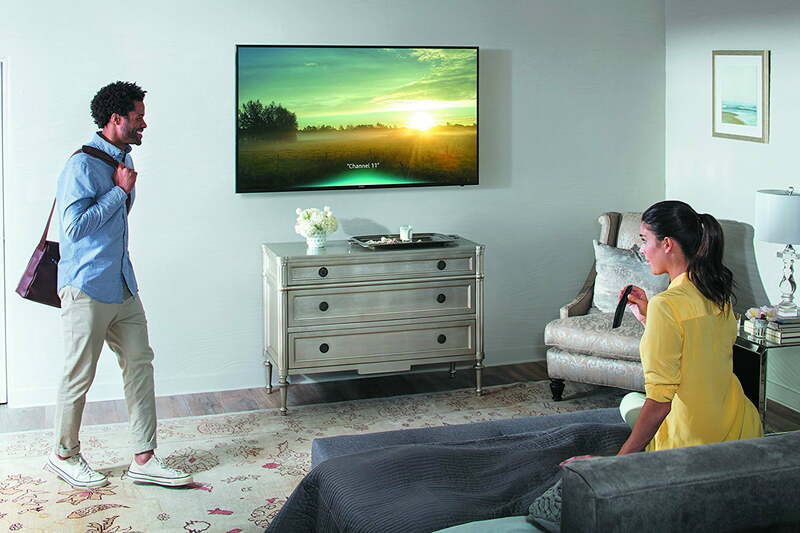 Because YouTube: It’s not just for cats anymore. 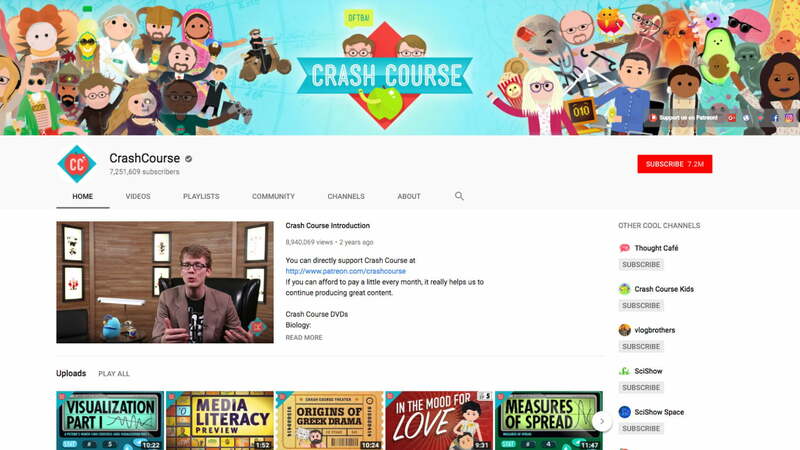 Made by the two brothers responsible for Vlog Brothers, Hank and John Green, this channel offers short, 40-video courses on anything from biology to literature. Using illustrations and animation, these videos can make anyone care about a nomenclature, and maybe help you pass a test or two. Big Think gathers some of the greatest figures in philosophy, science, and other fields to discuss important ideas in short, comprehensible videos. 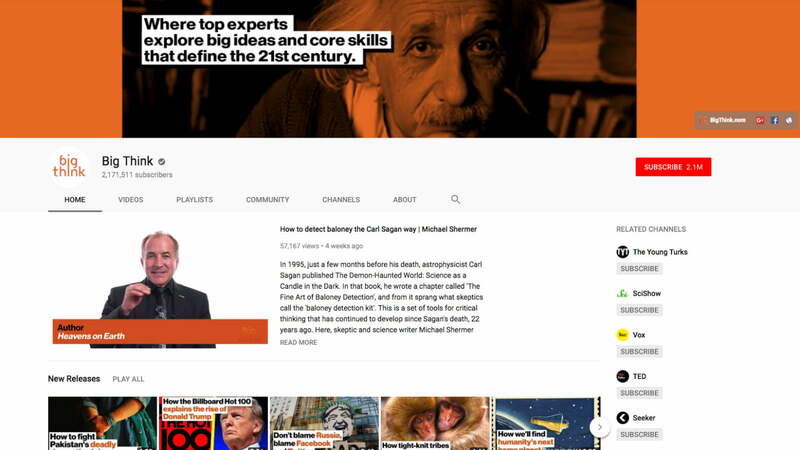 Whether you want to hear physicist Michio Kaku talk about aliens or learn tips on how to improve your mental health, Big Think is a fountain of knowledge. 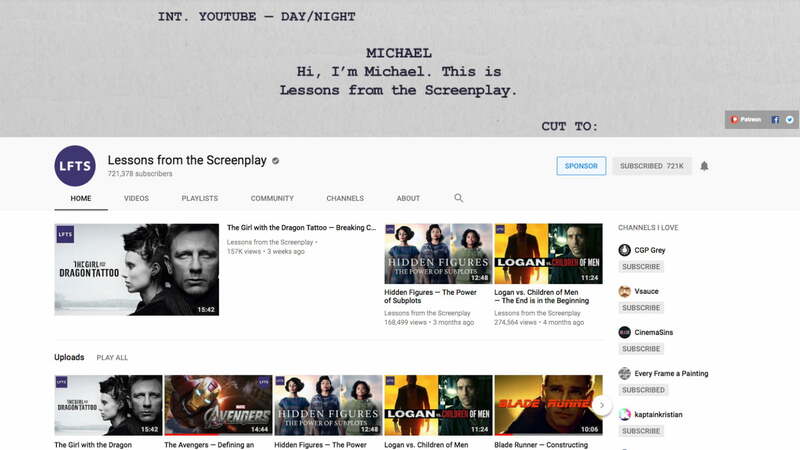 Film theory can be hard to digest; Lessons from the Screenplay examines various popular films, breaking down what makes their stories work — or in some cases, fail. The subjects vary: One video uses The Avengers to discuss the differences between three- and five-act narrative structures, another uses Blade Runner as a case study in building a sci-fi noir story. 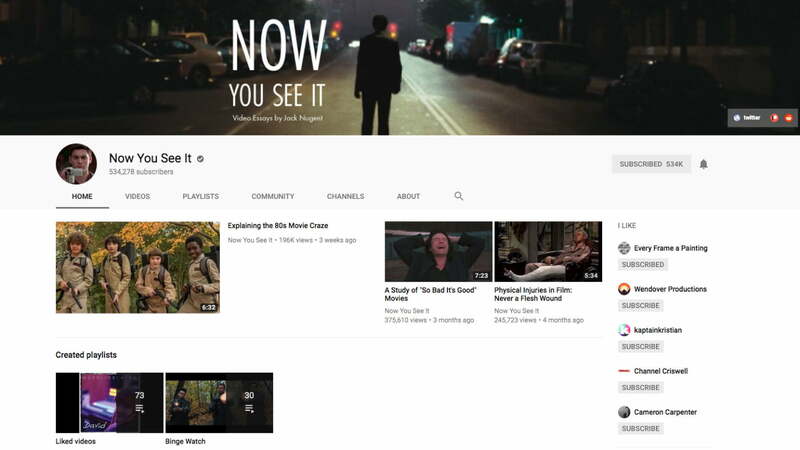 Another film studies channel, Now You See It examines various aspects of filmmaking, explaining the different techniques a filmmaker might employ, and why she might use them. Topics include costuming, the use of geometry in character design, and how to execute a proper jump scare in horror movies. Seattle public radio station KEXP hosts some of the most exciting musicians in alternative music today, and the station posts videos of these performances — half-concert, half-interview — on its YouTube channel. KEXP’s studio has incredible acoustics, and every performance sounds clear and intimate. NPR isn’t just a go-to organization for insightful talk radio. 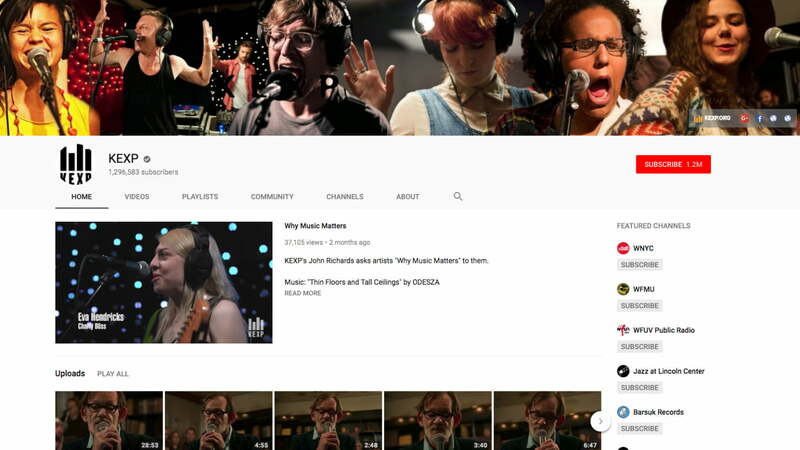 Its music division sports a number of programs, and NPR Music’s YouTube channel contains a bounty of great performances. The jewel in NPR Music’s crown is the Tiny Desk concert series, where artists visit the NPR office and perform intimate, often stripped-down shows. 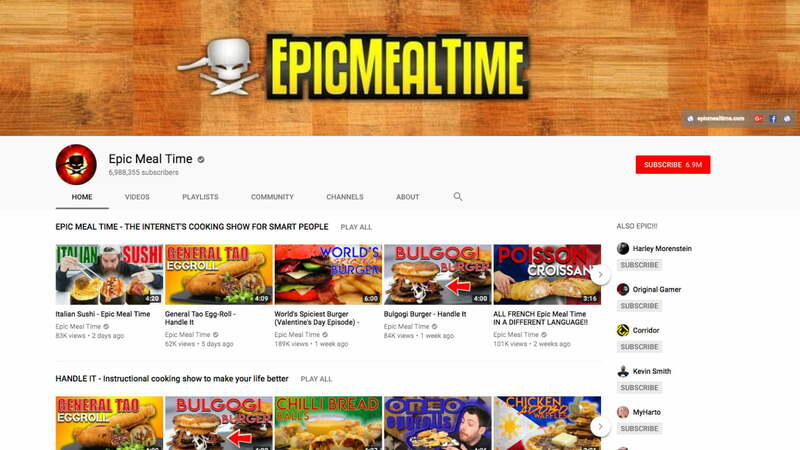 If you’ve ever found yourself in a late night conversation with your friends about how mixing lasagna and poutine would be the most delicious thing ever, Epic Meal Time is for you. These Canadians will take the bullet for you and add bacon or wings to pretty much anything … just to see what will happen. This is not for vegetarians or the weak of heart. 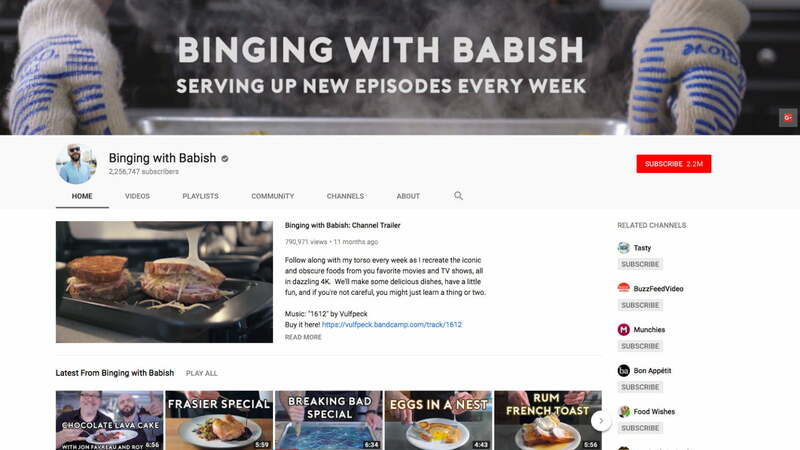 On his weekly series Binging with Babish, host Andrew Rea (aka OliverBabish) combines pop culture and cooking, recreating dishes seen in movies and shows with immaculate detail. Despite the premise, Binging isn’t just humorous; Rea walks viewers through each step in every recipe, explaining things with a clarity and confidence that should allow any viewer to make their own beef wellington (or pumpkin pasties from the Harry Potter films). If you want to entertain guests — or simply cut down on your bar spending — it’s a good idea to know how to make a cocktail. Cocktail Chemistry breaks down recipes for various cocktails, ranging from classics like the Old Fashioned and Negroni to more fanciful recipes. 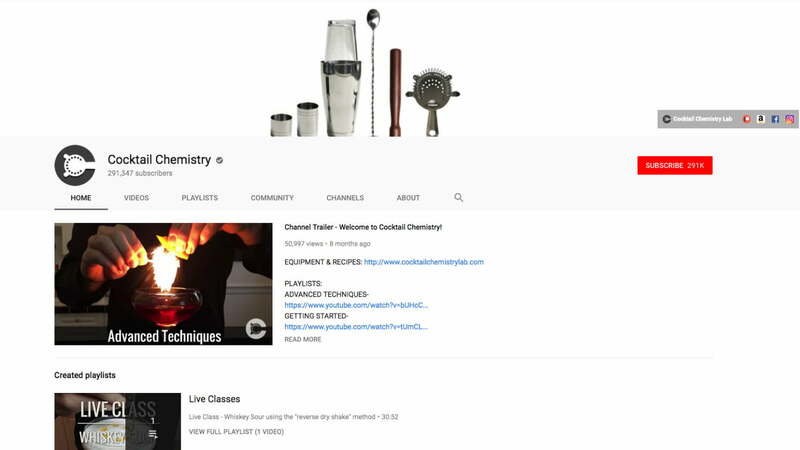 The channel also includes videos on bartending techniques, so you can take your cocktail game to the next level. 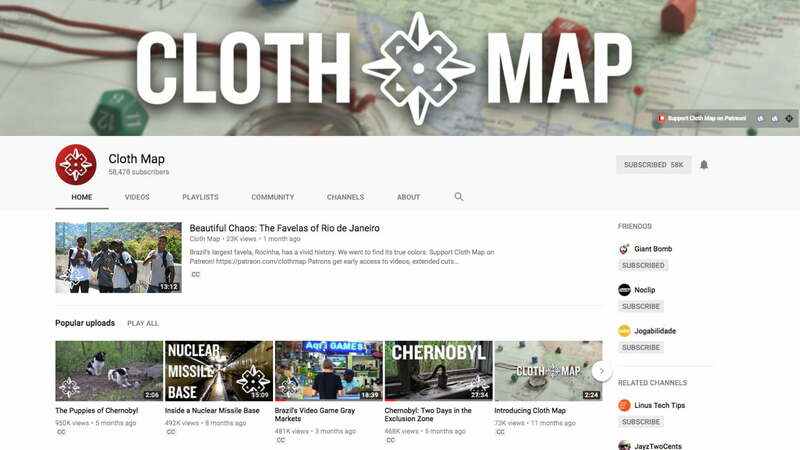 Former Giant Bomb video editor — and popular meme — Drew Scanlon struck out on his own to make Cloth Map, a documentary series that unites travel and video games. Videos explore not just how real world locations like Chernobyl and the favelas of Brazil have translated to video games, but also how gaming cultures form. For example, one video examines the “gray markets” of Brazil, which arose in part due to regulations and piracy. Video game website Giant Bomb blends a passion for gaming with hilarious personalities; the site’s staff is a murderer’s row of games journalism veterans. 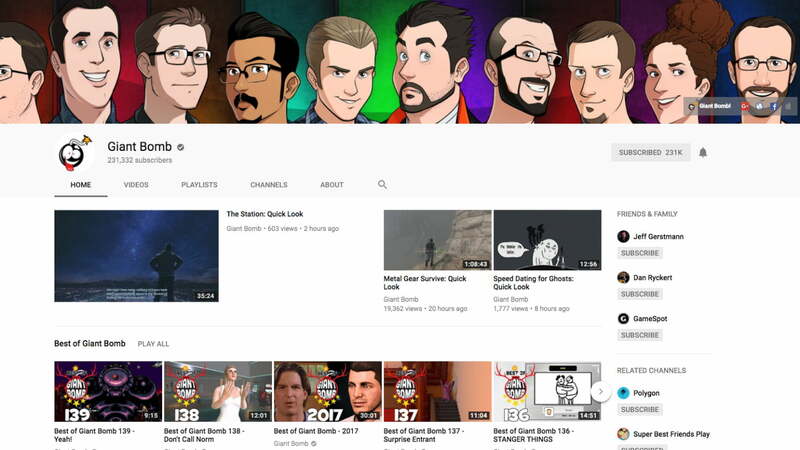 The site’s YouTube channel hosts its free video content, including Quick Looks (wherein staff members demo games, giving a first-hand look at how they play), and tapings of GB’s popular podcasts. 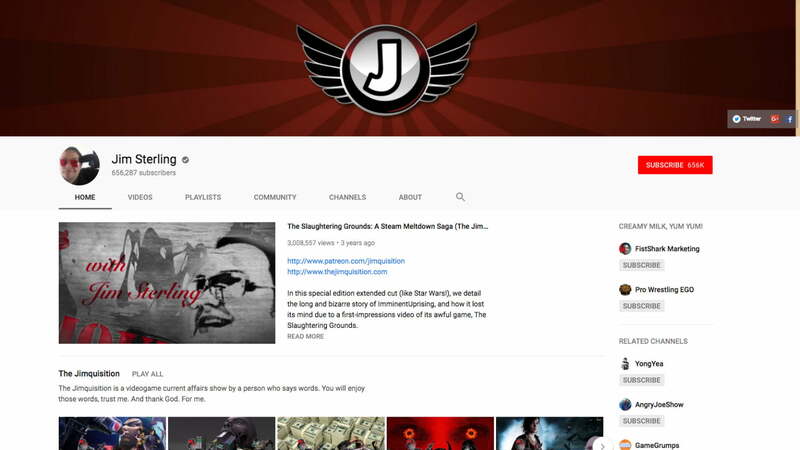 Video game journalist Jim Sterling (formerly of Destructoid and The Escapist) is one of gaming’s most bombastic personalities, as a quick tour of his YouTube channel should demonstrate. Sterling’s flagship series is The Jimquisition, wherein he gives his pointed (often caustic) opinions of the latest trends in the games industry. Imagine if Tim Curry yelled a lot and hosted a video game channel. 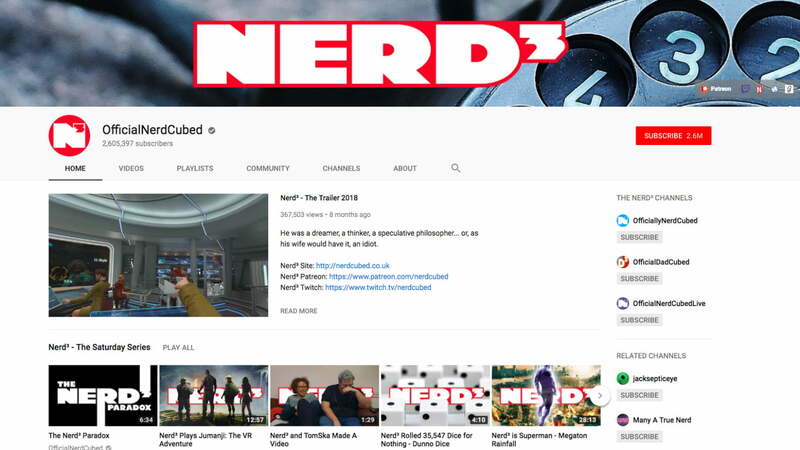 That’s NerdCubed. Daniel Hardcastle will play any game imaginable, from Spiderman 2 to Flight Control, and say “bloody” so many times you’ll want to jump on a double decker bus and drink tea in a red phone booth. Look out for the videos with his father, the two sound exactly alike so it’s fun to figure out who is who. 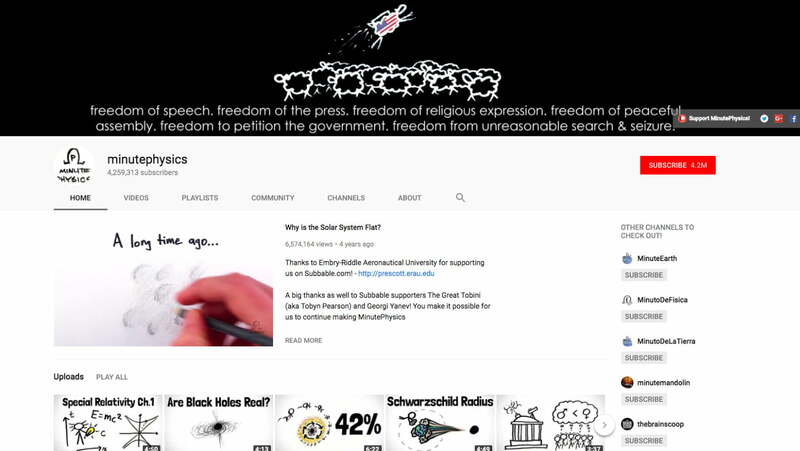 Most of the videos on this channel are pretty long so make sure you set aside enough time to procrastinate. The best thing about this channel is the high production quality. Instead of watching someone go through Paris like they’re in The Blair Witch Project, Sonia takes beautiful, in-focus shots of things around her in good lighting — which is sadly unusual for YouTube. 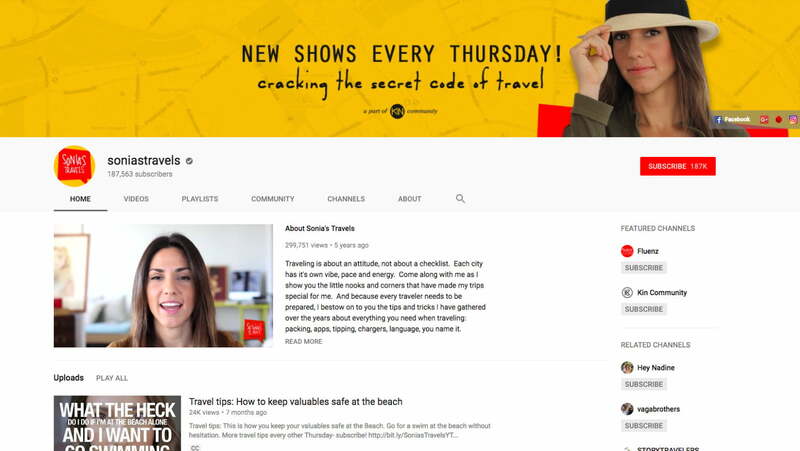 Her channel features both travel-diary type videos and tip videos on how to pack and save money while abroad. All in all, she’s a great resource for anyone looking to have a responsible adventure. Louis Cole does more in a month than most people do in their entire lives. He and his full head of dreadlocks document his adventures all over the world, and they will make you jealous. Though he doesn’t usually give any travel tips, he will show you things to add to your bucket list, such as a stay in an igloo or a stroll through a haunted, abandoned prison. 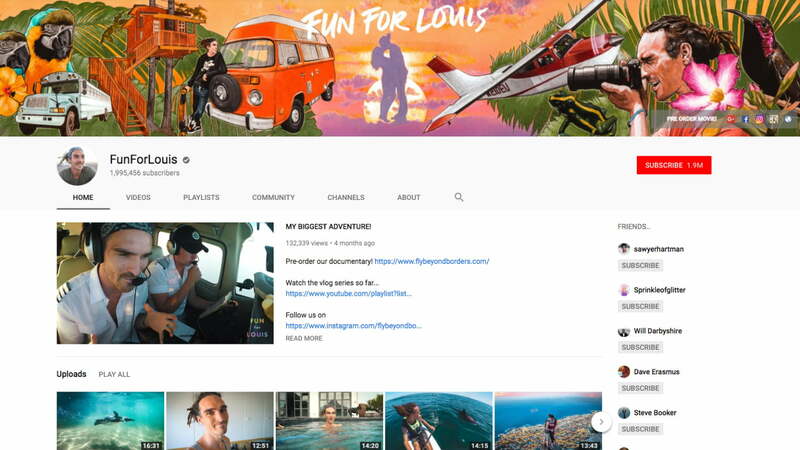 Whether you decide to follow his lead or just live vicariously through him, Louis will make sure you see something unique in every video. Otherwise known as Tourist2Townie, Gareth Leonard’s short videos are more like trailers about certain countries rather than travel diaries. They consist of shots of scenery and people set to music, which is a great way to get a small taste of what a country has to offer. Leonard’s goal is to immerse himself in a culture of a place so much that he feels like a local. You decide if he is successful.